Care One Home Health Services, Inc. is a privately-owned and operated Home Health Care Agency. We work with patients and physicians with the hope to provide outstanding care quality with every individual we care for and every family who turns to us for help. Our services can be requested by you, your family, your physician or managed through the discharge planner at the nursing home or hospital. With our whole person approach, we allow you to recover in the comfort of your own home by allowing you maximum freedom and independence in your place of residence. Our clinical skilled staff is an extension of your practice in caring for patients in the home. Together, we can follow and reinforce your recommendations within our Plan of Care to ensure the utmost quality service for your patient. 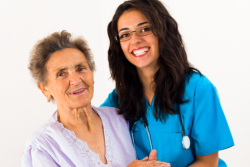 Care One Home Health Services, Inc. patient care coordinators and clinical professionals are available to the physician’s office to discuss any special protocols in providing home care services. We diligently follow the directives, standards and care parameters of the physician, and provide regular communication to all members of the health team.